This adventure is a road trip that starts in Tehran and takes you to Kashan, Isfahan and Yazd, three of Iran’s most famous desert cities. This adventure is a perfect combination of a cultural excursion and desert safari where you will see human adaptation to the desert climate and where you will enjoy time in the desert. The oasis named Kashan will surprise you with the artistic architecture of its Qajar mansions, Isfahan will take your breath away with its Safavid bridges and monuments and Yazd will amaze you with its wind towers, fire temple, mosques and 15th century Amir Chakhmaq Square which shines like an orange gem at night. 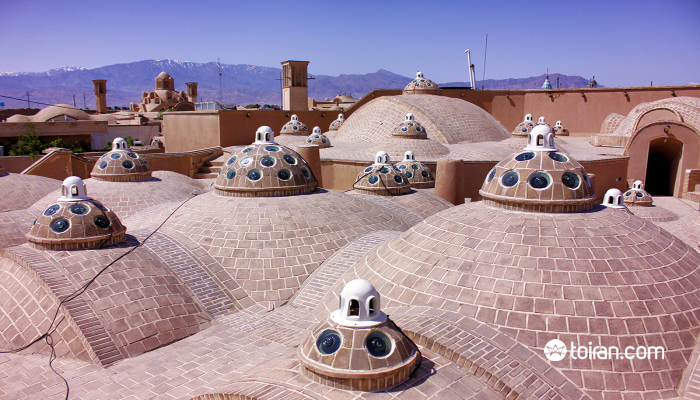 Day 1: Start in Kashan by visiting the bride of all traditional Persian homes the Tabatabaei and Boroujerdi Houses. The delicate decorations used in these Qajar homes will be sights difficult to forget. 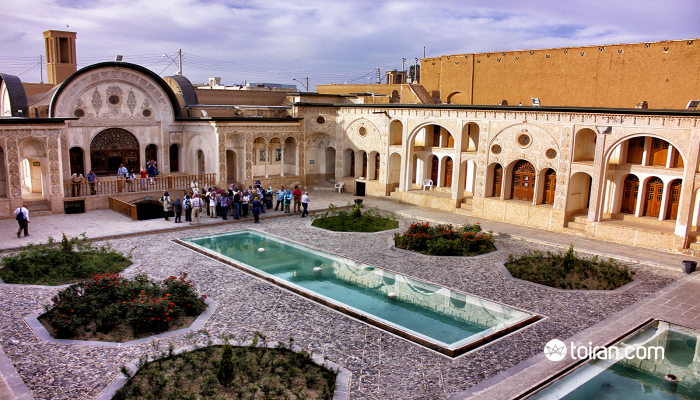 Take a tour of Fin Garden, one of the prime examples of the UNESCO registered Persian Garden, and let its Qajar and Safavid baths please your eyes. Day 2: Enjoy an early breakfast in Kashan before hitting the road to Maranjab Desert. Bring your camera to Maranjab Desert! It’s the perfect place for astrophotography! Drive onto the Salt Lake, discover the wandering island or just take a walk on the moving sand hills and enjoy the sand patterns before returning to Kashan for the night. 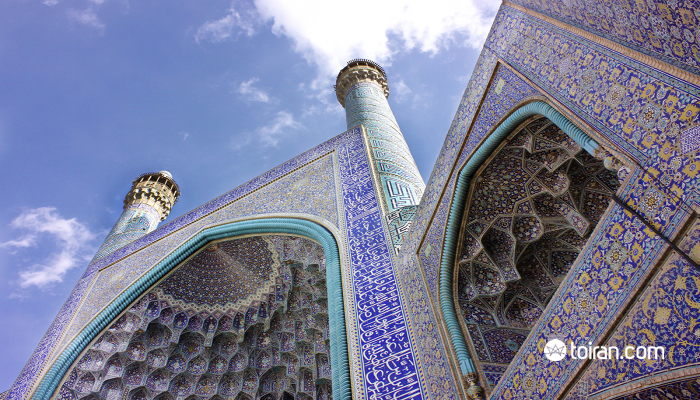 Day 3: It is time to head for Isfahan! You can visit the 11 bridges of Zayandeh Rood and enjoy the glorious view of Si-o-se Pol and Khaju Bridges at night. 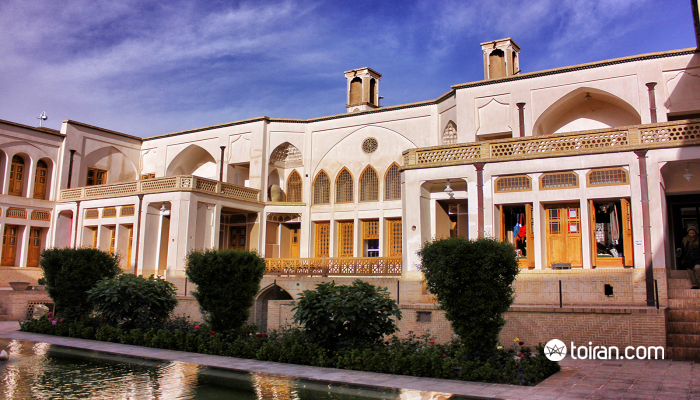 Spend a night in Abbasi Hotel, which was originally a caravanserai built 300 years ago. Sit in the hotel’s garden and enjoy the atmosphere created by the glowing light fixtures around the pool while having your meal or some Persian tea and snacks. 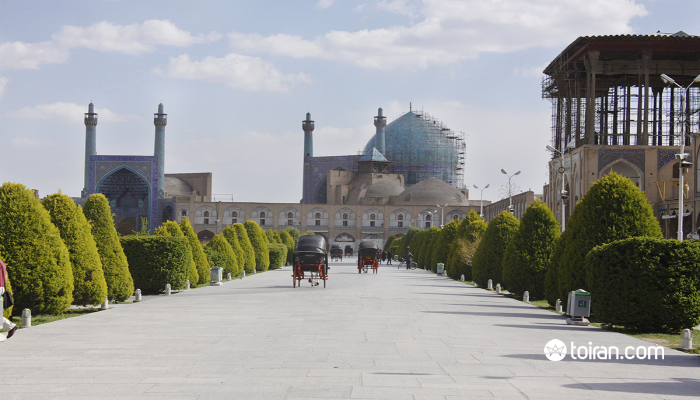 Day 4: Let the splendor of Naqsh-e Jahan Square and Shah and Sheikh Lutfollah Mosques, Ali Qapu Palace and Qeisarieh Bazaar leave you awestruck. 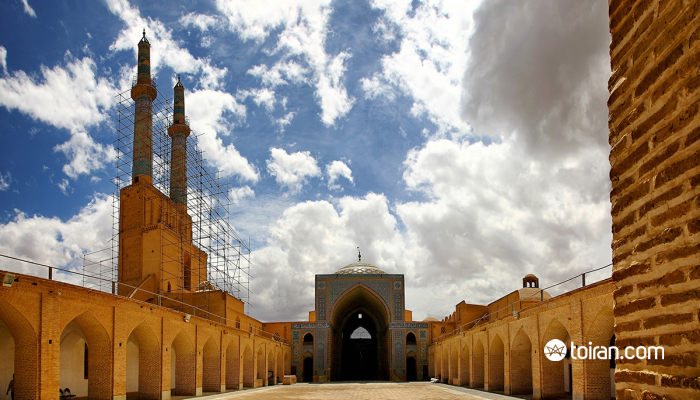 Visit the Jame Mosque of Isfahan, which is the embodiment of the aesthetic tastes of Persian rulers for over 1,000 years. Go to the Hasht Behesht or Eight Paradises Palace, the only remaining structure built in the gardens along the historic Chahar Bagh Avenue. If there is time, explore Jolfa, the Armenian Quarter of Isfahan, and take a tour of its old churches and cathedral. Walk through Jolfa’s maze of cobblestoned streets and the inviting cafes situated around its old churches where you can enjoy a delicious meal. Day 5: Stop in Meybod to see the 2,000-year-old Narin Castle, which some say was an Elamite ziggurat that later functioned as a fire temple and a fortress. 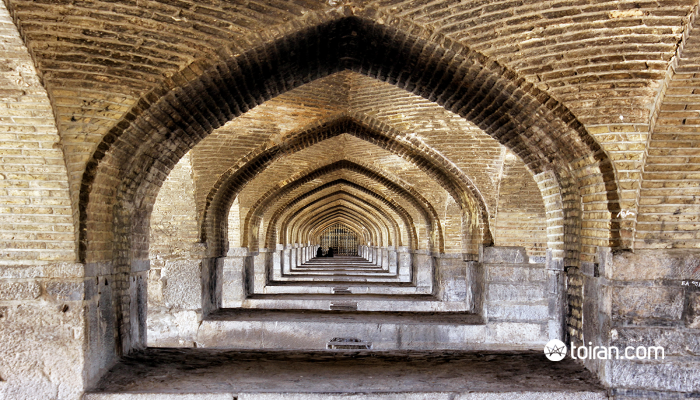 Visit one of the 999 caravanserais built by Safavid Shah Abbas I throughout the country and its Safavid ice house as well as the Qajar Dovecote (pigeon tower). There will be time to visit the many shops selling fine Persian ceramics before arriving in Yazd where you will spend the night. Day 6: Explore the city of wind towers! Visit the Dowlatabad Wind Tower and Dowlatabad Garden which is an example of the UNESCO registered Persian Garden. You can see 12th century Jame Mosque of Yazd, which was built on the ruins of a Sassanid fire temple and is reputed to have the tallest minarets in Iran. Take a stroll through the historical Fahadan neighborhood and enjoy the architectural beauty of Yazd traditional homes and Sabats (vaulted alleys) before visiting the mud brick Alexander’s Prison or Ziyaeieh School. You will have time to visit the Yazd Bazaar. Visit the Amir Chakhmaq Historical Complex in the afternoon where you can try some of the delicious local pastries like Persian baklava and Qotab (deep-fried almond-filled pastry) while you wait for the Amir Chakhmaq lights to bring this monument to life. Day 7: Head to Anarak Village and spend some time in the desert. 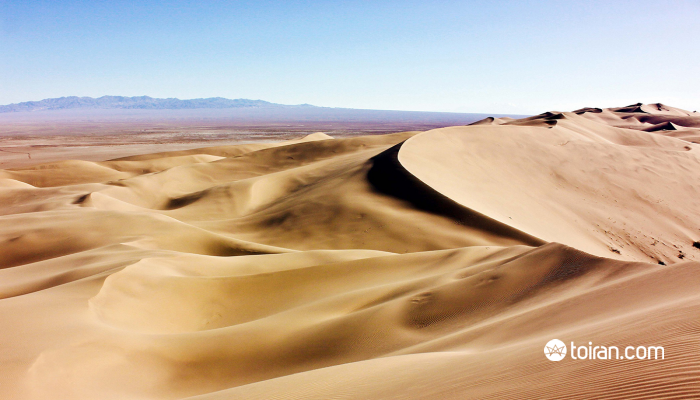 Take a walk on the moving sand hills and enjoy the sand patterns. Spend the night in Anarak Caravanserai where you can try a traditional dinner. Day 8: Depart from Anarak Village for Tehran in the morning. Note: We have designed our tour packages to cover a wide-range of tastes and to be fun. If you don’t find what you are looking for here please contact us and we will design a package especially for you. Seeing the starting point of human thought in Kashan, half of the world in Isfahan and the oldest Fire Temples still in use in Yazd.